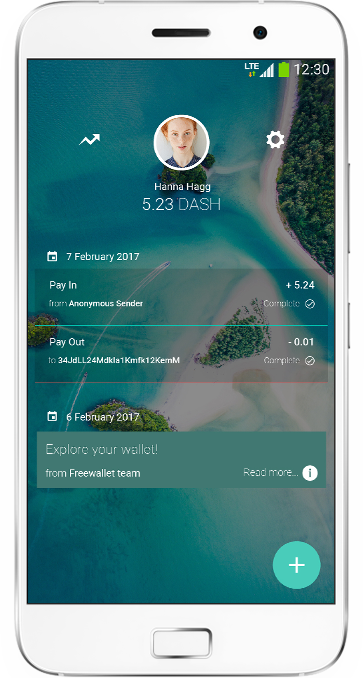 Store and manage your DASH in the wallet that is both smart and beautiful. 90% of users don't backup their private keys or remember their mnemonic phrases. So we have created the app that is secure by design. The majority of all assets are stored in an offline vault to ultimately secure your funds against any malicious activity. If you lose your device, you'll be able to freeze your account or to access it from any other Android or iOS device. You can secure your wallet by enabling additional security code and by verifying your email or mobile phone number. 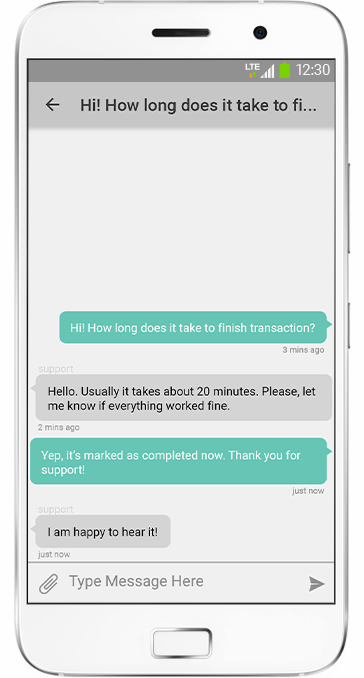 We understand that blockchain is sometimes complicated and even perfect UI can't save it. That's why we are supporting every user to make your journey fun and simple. That's all you need to start using cryptocurrencies. 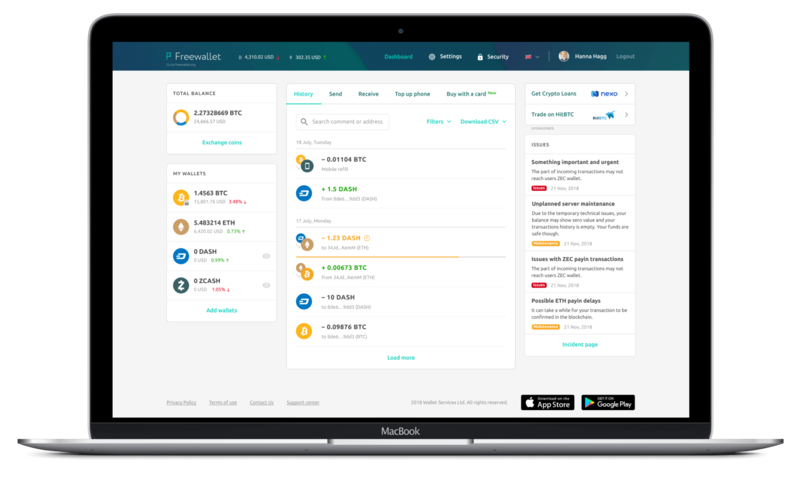 Choose your Freewallet now. That's all you need to do to start using cryptocurrencies.